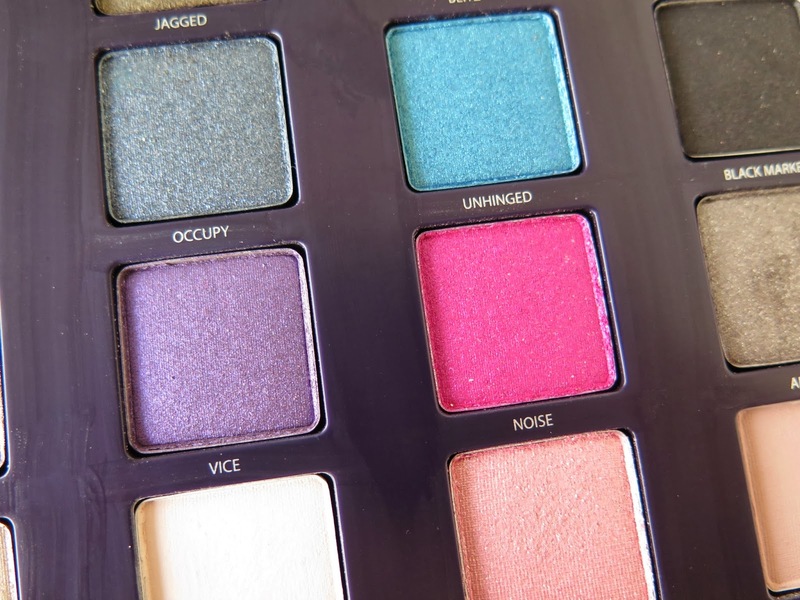 I have been a fan of Urban Decay Make-up, eye shadows in particular for 10 years now. Back then they weren't so widely available so I used to coo over the products on American websites and make mental shopping lists of all the beautiful colours I wanted. I even remember my Auntie saying "why would you want to put something on your face called urban decay?" 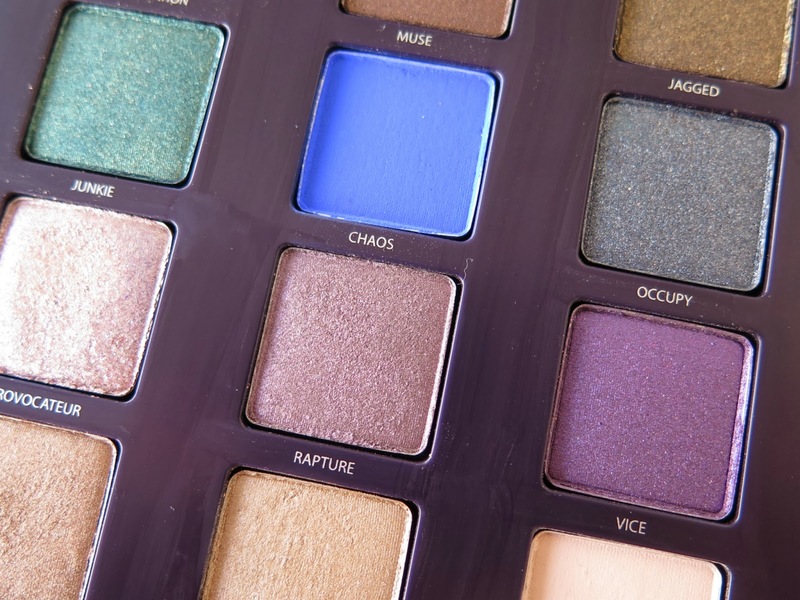 I laugh about it now because it has become such a huge brand that we all let the words roll off our tongue and it probably doesn't occur to most people to think that urban decay is indeed a very strange name for a make-up brand but we all love it regardless! 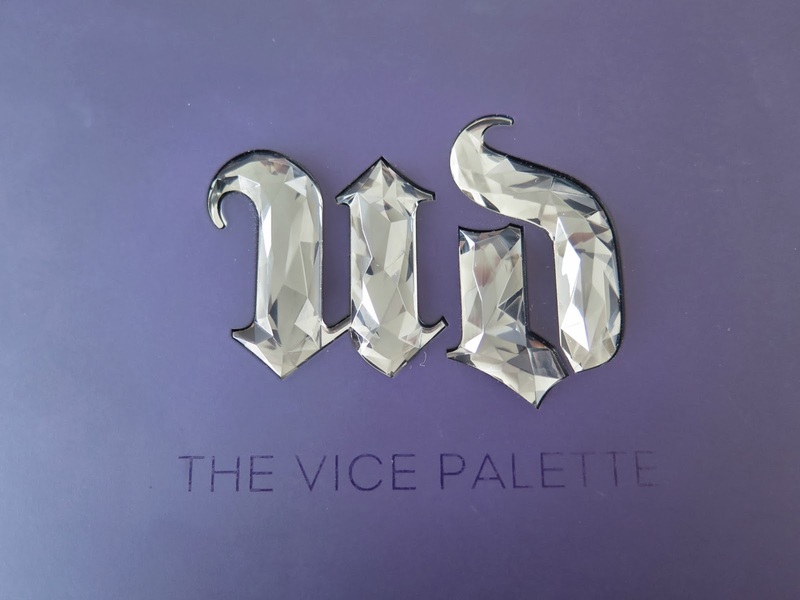 I have had the vice palette for a year now and I will admit that I haven't used it very much at all. Not because I don't like it but because I get stuck in a make-up rut and keep going back to my favourite combo of "sin" and "smog". Both of which I have twice over in other palettes. "Sin" is still my all time favourite neutral eye shadow, I just love it. It is such a pretty colour and the perfect combination of colour and shimmer. 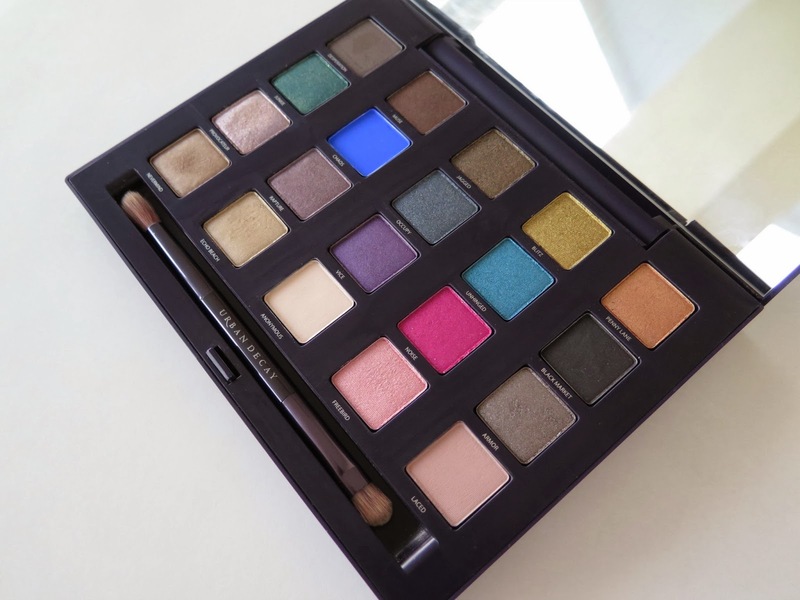 The Vice Palette is a good mix of neutral shades and brights, shimmers and mattes and would lend itself really well for travel. If you were to take this on holiday or for a weekend away you would really have all the colours you would need in this one collection and because of the shape and size of the palette it comes with a large mirror so saves you having to take a travel mirror with you or having to struggle under horrid bathroom lights in your hotel room. The packaging of this palette is my favourite of all of their collections, it's in the signature deep purple colour we all know them for, and the box has a beautiful soft touch finish that I can't help running my hands over (yes I know how weird that sounds). In the centre of the lid is a cute grey crystal look U and D.
The lid is opened by a button at the front and opens slowly and smoothly and has an almost electronic pace about it and feels so well made that I have no concerns that it's going to snap off. Inside there are 20 x 0.8g eye shadows with a great mix of colours, and a fantastic double ended brush, that is completely sufficient for doing a complete look with. Now I know a lot of you are make-up enthusiasts and have a huge range of brushes, but if you are travelling light you really can cope with just this one brush unless you use liquid liner that you require a brush for. I really like the brush provided in this set, it is lovely and soft and doesn't shed lots of hairs. 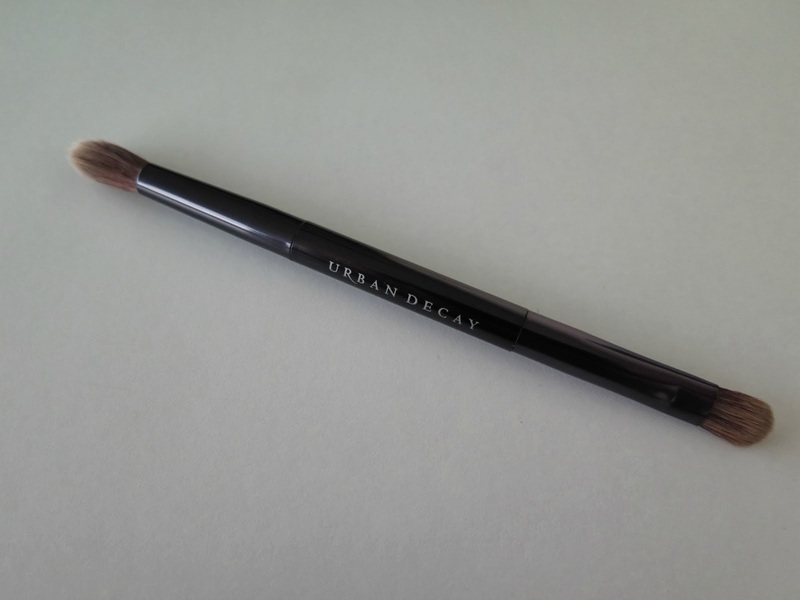 One end is a flat eye shadow brush and the other end is a blending brush joined together by deep purple metal with the Urban Decay logo. I have been slowly working my way through the colours the last couple of weeks and wore Echo Beach and Nevermind on New Years Eve, they are pretty shades of champagne gold and went well with my outfit which had gold embroidery, as with all Urban Decay shadows you get really good colour pay off and they go on really well and blend like a dream. I will try and do a series of different looks created using this collection in the next few weeks and show how versatile it is. 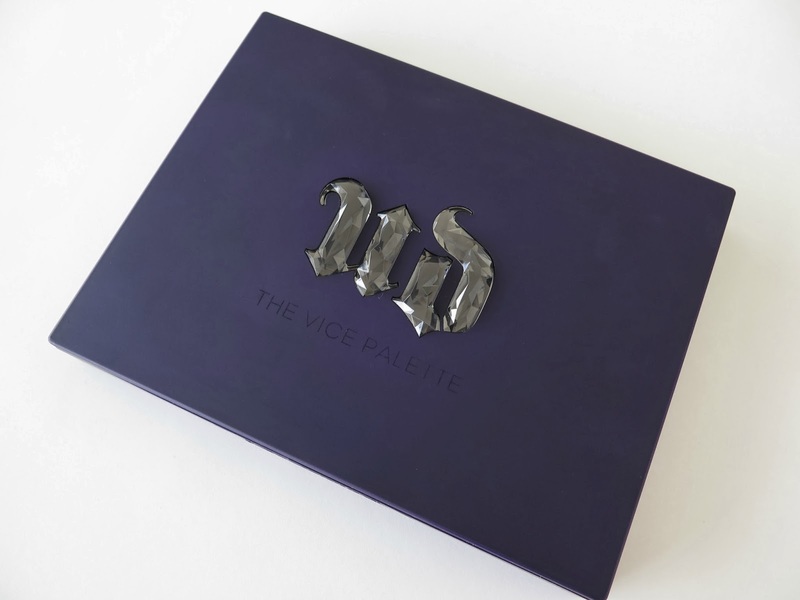 The Vice Palette retails for around £42 in the UK and is available from Department stores and online. Wow! 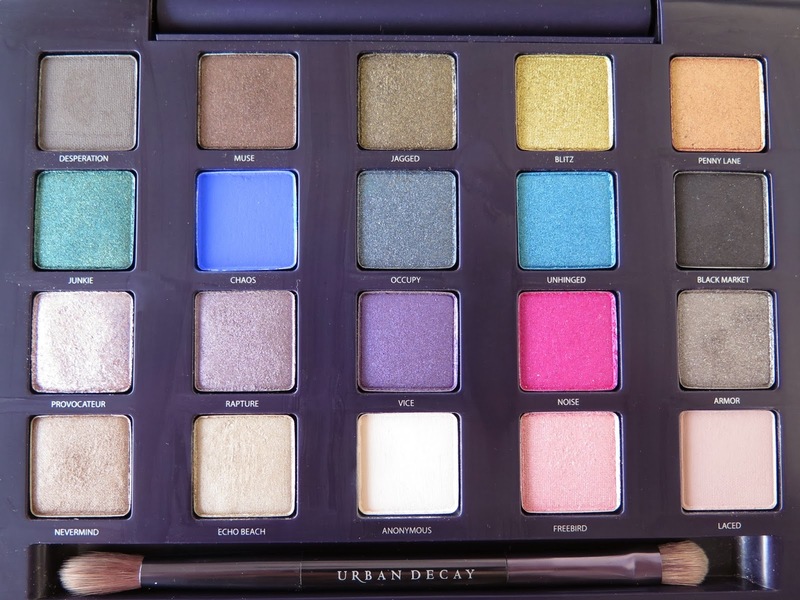 I want to find this pallet because I have heard of great things from Urban Decay... and second, love the variety of colors it comes with! A Year To Change My Life!